Metro riders can score free rides both Metrobus and Metrorail this New Year's Eve, courtesy of Miller Lite. 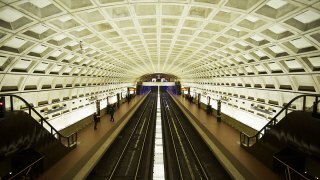 The free rides will be available beginning at midnight on Jan. 1, with free service until 3 a.m., WMATA said when announcing the partnership earlier this month. Metrorail riders should enter and exit the system using either their SmarTrip cards or paper farecards as usual -- but during those hours, they won't be charged for the trip, WMATA said. Metrobus riders just need to show their SmarTrip card to their driver to board for free. Don't drink and drive is the message onNew Year's Eve as revelers head out to ring in 2016. There are several ways you can get a free ride home, and transportation reporter Adam Tuss has the details.